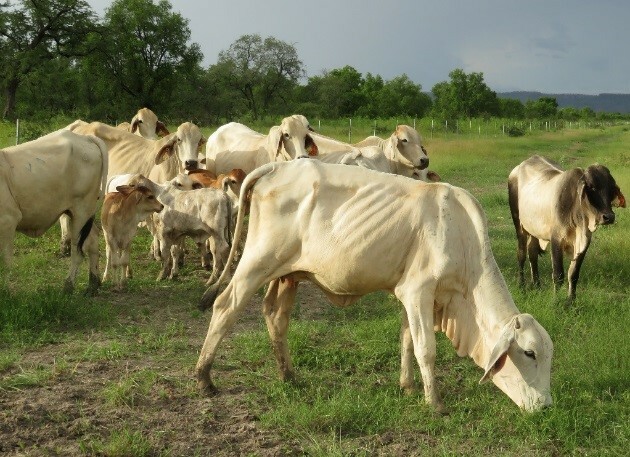 Much of northern Australia is phosphorus (P) deficient but supplement sales figures and beef extension officers tell us that the majority of properties in deficient areas are not supplementing their cattle with P in the wet season. The most likely reason for this is that producers do not think the expense is justified and that they will not get a good enough return on their investment in P supplementation. 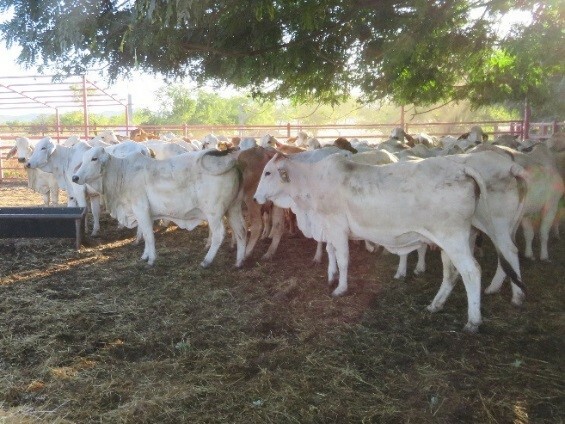 However, producers have had limited data to base such a decision on as, while many studies have shown that P supplementation increases growth, there have been few studies that have found a significant improvement in reproductive performance from P supplementation in northern Australia and quantified the benefit. As a result producers and advisors have had to give estimates of the benefit that producers might expect without hard data to back them up. This may contribute to the low adoption of P supplementation. 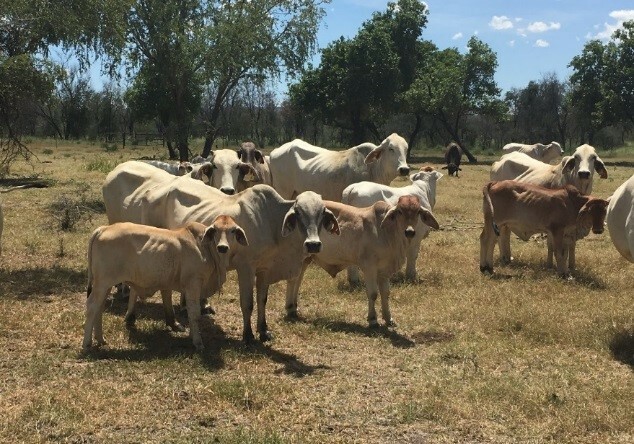 The Kidman Springs P supplementation project therefore aims to provide producers with definitive data on the effects of supplementing females with P in this environment. Supplementation research has been conducted previously at Kidman Springs and studies between 1990-1995 showed a dramatic reduction in breeder mortality and improvement in weaning rate. 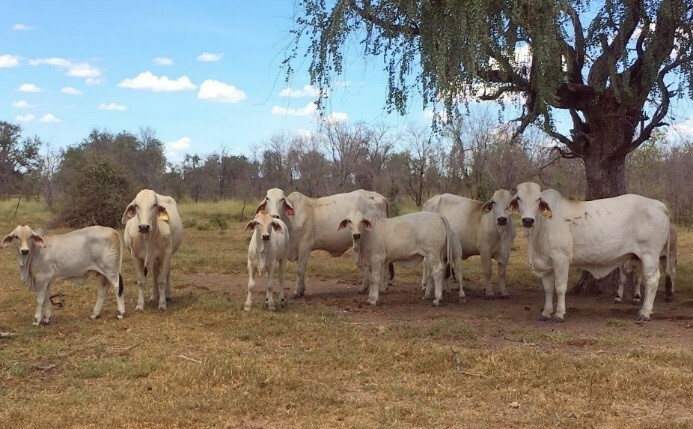 However, this was in response to a range of management changes including dry season supplementation and different weaning practises as well as wet season P supplementation, so it was not possible to separate the benefits due to P supplementation from these other practises. 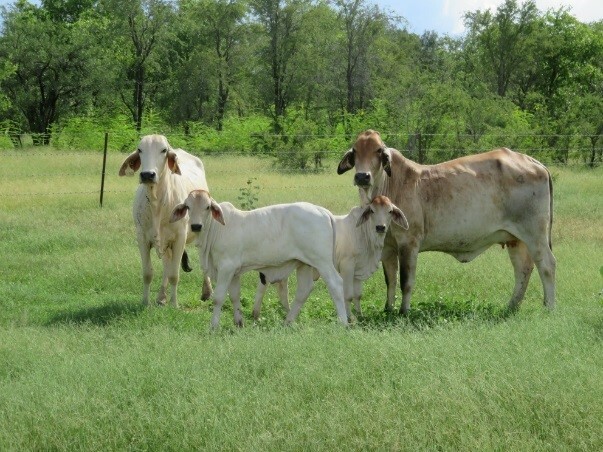 Following weaning in June 2014, after stratifying for weight, 179 Brahman heifers were randomly allocated to either a +P (n=91) or –P (n=88) treatment (average weight: +P = 171.7 kg, -P = 171.2 kg). The treatments grazed separately in neighbouring paddocks that were acutely P deficient (average Colwell P soil test results: 2.5 and 3.1 mg P/kg) and they swapped paddocks in May each year to minimise paddock effects. The treatments were managed in exactly the same way except that their mineral loose lick supplement either contained P (+P) or did not (-P). The lick was fed year-round in troughs under supplement sheds. The composition of the lick fed to each treatment is shown in Table 1. Weight (curfewed), body condition score, hip height, P8 fat depth, pregnancy status and lactation status were recorded twice a year (usually in May and September/October). Heifers were mated for the first time (as 2 year olds) between 5 January 2016 and 6 April 2016. Heifers calved in late 2016/early 2017 and were mated for the second time between 3 January 2017 and 22 May 2017. Calves were weighed, mothered up and weaned in May. Heifers that did not get pregnant from two year old mating were not culled but retained so that all heifers remain in their treatment groups for the duration of the experiment. The P+ group grew 33 kg more over the first post weaning wet season and 33kg more over the next wet season during mating (Figure 6). +P maiden heifers were 66 kg heavier at the end of their first mating as two year olds (+P = 391.8 kg, -P = 326.5 kg). Pregnancy rates were 10% higher in +P maiden heifers (+P = 70%, -P = 60%). However this was actually less than expected and ultrasound ovarian scanning found that there were more heifers in the +P group that were cycling than in -P. If all cycling heifers in each group had got pregnant then the difference would have been 23% (+P= 87%, -P = 64%). Foetal and calf loss between pregnancy diagnosis and weaning in first calf heifers was similar in both treatments (+P = 20.6%, -P = 20.4%). Re-conception rates were 25% higher in +P first lactation heifers (+P = 30%, -P = 5%). The average weight of +P first lactation heifers was 120 kg higher when their calves were weaned (+P = 381.8 kg, -P = 262.2 kg). The cumulative mortality rate over the three years from weaning to three and a half years old was 7% lower in the P+ treatment (+P = 1.1%, -P = 8.0%). In addition, at the time of weaning of their first calves 18 –P heifers were removed from the study for crisis feeding as they were considered to be at risk of mortality due to low body condition score. Including these heifers in the analysis gave a mortality/morbidity rate of 28.4% for –P heifers. The average weaning weight of calves was 34 kg heavier in the P+ treatment (+P = 172.3 kg, -P = 138.6 kg). 50 calves were weaned from +P and 40 from –P. The total weight of calves weaned from the treatments was 3,072 kg higher in +P which when valued at the current price ($3.50/kg) was worth $10,751. The cost of supplement consumed was calculated to be $1,744.05 higher in the +P treatment. Just comparing the extra cost of the supplement in the +P treatment (vs the cost of dry season only supplement in the –P treatment) to the extra value of calves weaned from first lactation heifers gave a return on investment of 268%. Preliminary economic evaluation (up to first lactation heifer stage) shows that by spending an extra $41 per head on supplement over the first 3 years the P+ treatment has produced about $300 per head more so far. If the value of the heavier weight of the females retained is also included then it works out to be around $513 more per head. A proper economic evaluation will be done in future. Performance was again better in the P+ group in the 2017-2018 (when heifers had the opportunity to wean their second calves). It should be noted that only two –P heifers reconceived as first lactation heifers so most –P cows that produced calves in 2018 had either lost their first calf and reconceived, or conceived for the first time as three year olds. Calf loss over the 2017-18 calving season was 16% in +P and 21% in –P. 43 calves were weaned from the +P treatment and 30 from –P. The average weight of calves was 13.4 kg heavier in +P (+P = 184.9, -P = 171.5). As a result a total of 2,806 kg more weight of calves was weaned from +P. The average weight of cows at WR1 2018 was 69 kg higher in +P in both wet and dry cows and the pregnancy percentage was 37% higher in wet cows in +P (Table 3). While this trial is showing large benefits from P supplementation, the response on other properties will vary depending on the level of P deficiency in the soils on which cattle graze. Benefits of this scale may not be seen where P deficiency is not as severe. Producers can get soil tests done if they are not sure of the P status of different land types on their property. Soils with a Colwell P level of less than 4 mg/kg are considered to be acutely deficient, while 5 mg/kg is deficient and 6-8 mg/kg is marginal. However there are often different soil types in a paddock and animals graze selectively so may be able target forage with higher P levels. Therefore while soil testing can give an indication, it is not considered to be a definitive method of determining deficiency. Currently testing blood samples taken from growing animals (eg. 1-2 y.o) at the end of the wet season for Plasma inorganic Phosphorus (PiP) is considered to be the most reliable indicator of the P status of animals. However, as a rough guide, if your first lactation heifers look more like the ones in photo 3 than photo 4 then it is likely that they will benefit from P supplementation (unless you have a stocking rate problem). It can be difficult to put supplements out during the wet season, but many producers have found innovative ways to do it and usually “where there is a will there is a way”. Some have supplement dumps in shipping containers or under tarps scattered around their properties. It is really up to individual producers to weigh up the costs and benefits in their particular situation. The Kidman Springs P research trial is providing them with new information to do this. Table 1. The contents of the loose mix supplement fed in the trial. Table 2. 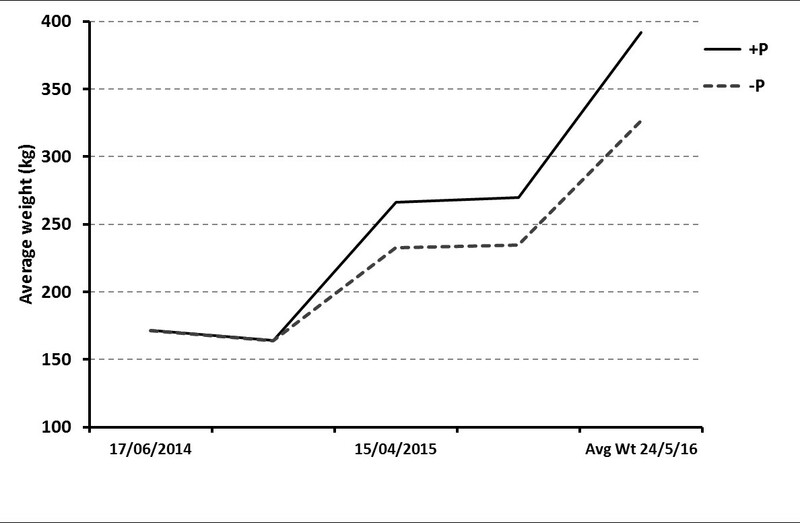 Results from the Kidman Springs P supplementation trial (up until weaning of 1st calves). Table 3. 2018 data (the year after first calves were weaned). The trial is ongoing and will compare the kilograms of calves weaned from each treatment over several years. A thorough economic analysis will be conducted to examine the cost effectiveness of the supplementation treatment.